Central Coast Mariners confirmed the end of Bolt's training period after a breakdown in contract talks. The eight-time Olympic champion was offered only a fraction of the $2.1m his management team had sought from the A-League side. Sprint king Usain Bolt's dreams of pursuing a professional football career in Australia is over as his trial period with Australia's Central Coast Mariners came to end following breakdown in contract talks. The A-League side offered only a fraction of $2.1m that Bolt's management team had sought as they failed to rope in sponsors from outside to sign the sprinter-turned footballer. Bolt had joined the Mariners in August and was on an indefinite training period. The eight-time Olympic champion, who had retired from the track last year, had training stints at Bundesliga giants Borussia Dortmund, South Africa's Mamelodi Sundowns and Norway's Stromsgodset before arriving in Australia in a bid to earn a professional contract. While questions were asked of Bolt's abilities to represent a professional football club, the Jamaican great grabbed headlines by scoring a brace during a pre-season friendly against an Australian second-tier side. Bolt, though, hadn't played against an A-League side during his training stint with the Mariners. However, his appearances in the pre-season matches helped the club draw an unprecedented amount of fans to the stands. "As previously stated, the club and [Bolt's representative] Ricky Simms have been in conversations with external partners to find a commercial solution that suits all parties," the Mariners said in a statement. "Despite several promising potential partners, both Bolt and the Central Coast Mariners have amicably concluded that they will not be able to settle on a suitable deal in a timely manner." 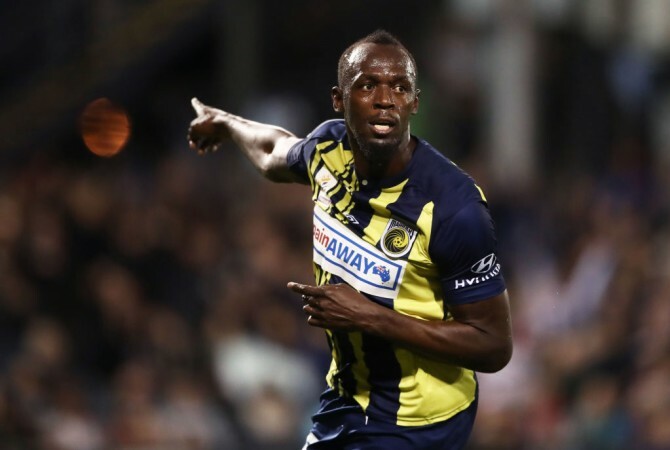 Bolt, who had recently turned down a two-year contract from Maltese champions Valletta FC, thanked the Mariners and wished them the best for the ongoing A-League season. Meanwhile, club owner Mike Charlesworth lauded Bolt's dedication to the club and pointed out how the celebrated Olympian had brought fans to the stadiums in his short stint. "This has been a mutually beneficial partnership that brought an increased level of excitement and attention to both the Mariners and the A-League," Charlesworth said, as quoted by the AFP. While uncertainty prevails over Bolt's football future, Jamaican Football Association chief Michael Ricketts has seemingly tried to lure the national hero to play for a local team in the country by giving him hope of national team call-up. "If he can make the transition from being a superstar on the track to being a good enough football player, then we will certainly call him up," Ricketts told the ESPN.